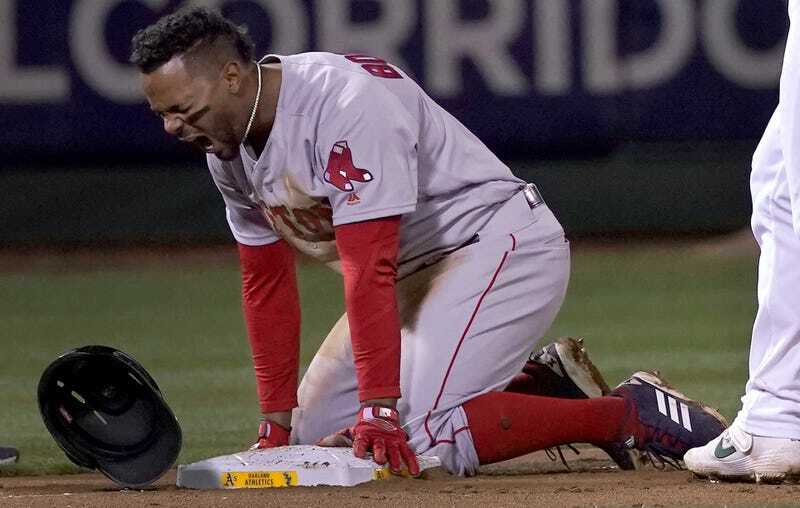 Xander Bogaerts clearly did not remember what he learned on Monday night. Don’t run on Ramon Laureano! He’ll put you in the trash can from a mile away. 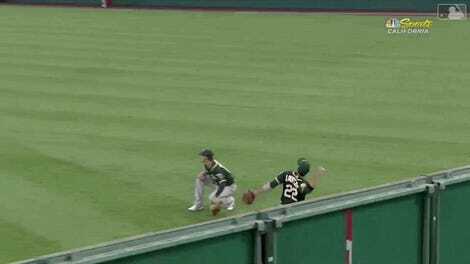 Last night’s laser throw to third was perhaps even more impressive than Laureano’s hurl to home, since it probably saved the game for the A’s. 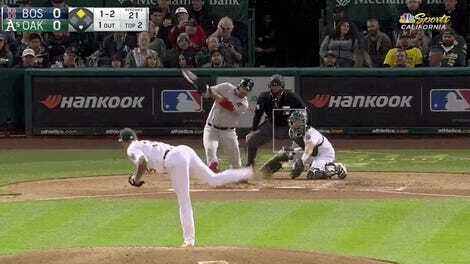 After getting shut out by the A’s for eight straight innings last night and nine the night before, the Red Sox desperately needed to get on the board in the ninth. Matt Chapman had smacked a solo homer in the first inning, but the A’s only managed two more hits against Chris Sale all night. However, Mike Fiers and the A’s bullpen kept the Red Sox 0-for-7 with runners in scoring position all night, so the Sox needed to come up big against closer Blake Treinen. Initially, it seemed like Bogaerts did. His long fly ball was just a few inches to the right of ending up a home run, and if he made it to third with one out, the Red Sox would have had a golden chance to tie the game up and maybe even win. Hell, if he stayed on second, he’d still have been in good position. Instead, they suffered a painful 1-0 loss because Bogaerts once again underestimated Ramon Laureano.